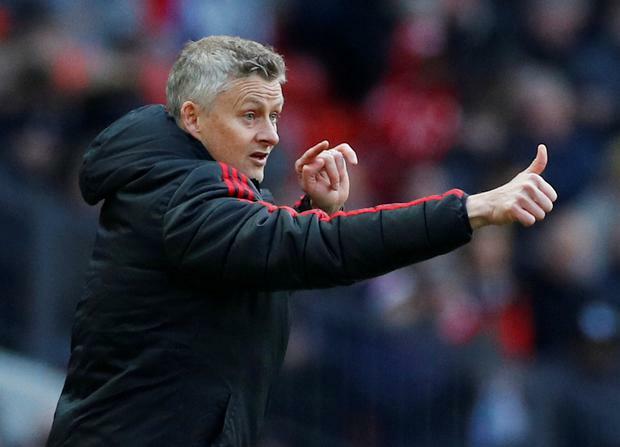 With Luke Shaw and Ashley Young suspended and Tuesday night's Champions League quarter-final second leg at Barcelona in mind, changes for United were inevitable. Of the starters in Wednesday's 1-0 first-leg defeat here, six survived as in came Phil Jones, Marcos Rojo, Juan Mata, Anthony Martial and Jesse Lingard. Manuel Pellegrini's side had three changes from the XI that began Monday's 2-0 defeat at Chelsea, with Pablo Zabaleta, Robert Snodgrass and Arthur Masuaku brought in. Marko Arnautovic was the most notable absentee, through illness. There was an open start to a half that continued in similar fashion, in which each team kept the opposing defence alert. West Ham's Masuaka fired a shot just wide while at the other end a Mata corner had to be scrambled clear. When West Ham threatened next, Solskjaer's side seemed to have an escape when Felipe Anderson's strike was ruled out, as Diogo Dalot looked to have kept the No 8 onside. West Ham were enjoying space between the United defence and midfield and along the flanks. Still, there was the same freedom to play for the home side and when Fred utilised this to move his team forward Mata was dumped over by Snodgrass and the referee, Graham Scott, pointed to the spot. Up trotted Pogba - no slow-slow shuffle run-up - to hammer home a 15th goal of the season. West Ham attempted an instant response, but Manuel Lanzini's free-kick went for a corner and when a second followed, Anderson's glancing header bounced wide. The end-to-end stuff continued, Romelu Lukaku leading a charge to West Ham's area that had Pogba, Martial and Mata following. This move eventually broke down due to offside. Dalot was next to threaten but the right-back's shot went wide. Solskjaer, whose side began the game in sixth, had said attaining a Champions League berth was a challenge, and given how average United were throughout this first half it felt an understatement. After Lukaku's shot was deflected for a corner Chris Smalling's subsequent header was as misdirected as Rojo's attempted clearance at the other end a few moments later. 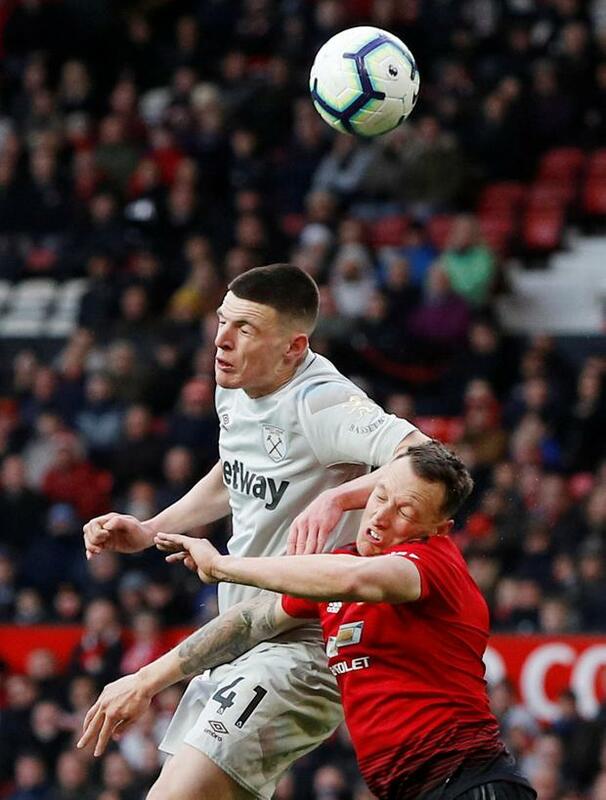 Declan Rice showed first after the break, West Ham's holding player surging down the right, and he was about to help create an equaliser that began and ended with a De Gea error, four minutes into the second half. The Spaniard's loose throw was meant for Pogba but found only Rice. He passed to Snodgrass, who moved the ball to Lanzini. 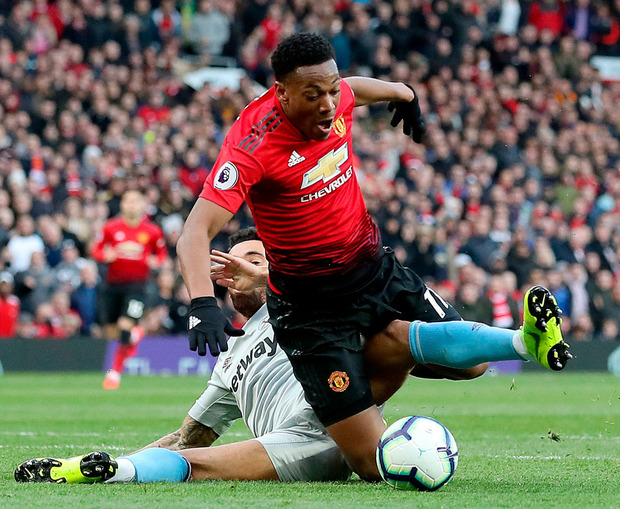 The No 10's cross went right across goal to Anderson and his close-range attempt was allowed to squeeze in at the near post, thanks to De Gea's poor attempt at a save. The reshuffle had Lukaku fanning out right and Rashford becoming centre-forward. There was nearly an instant dividend. Smalling played Rashford in along a right-hand channel and his shot was parried by Lukasz Fabianski, West Ham's keeper. This signalled an upturn in urgency and energy and Rashford really should have restored the home side's lead with a close-ranger header seconds later. 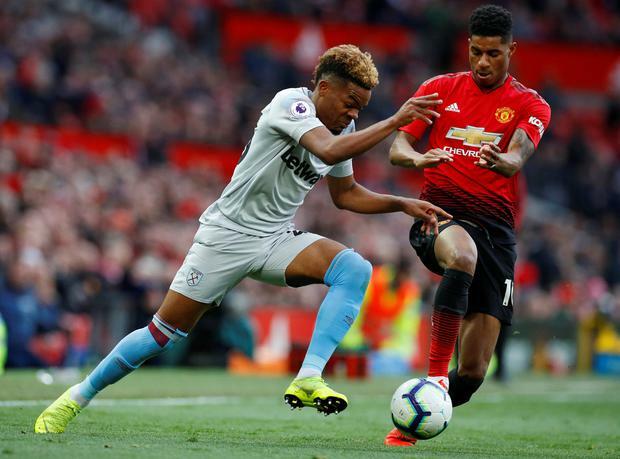 United were camped in West Ham's defensive third but unable to dominate, with Rojo the chief culprit in a rearguard in disarray when the Hammers attacked.